Featuring works from 22 countries and a new environmental theme being called New Climate, this first round of the full lineup sees five Day One movies kicking the festival off January 19 next year. 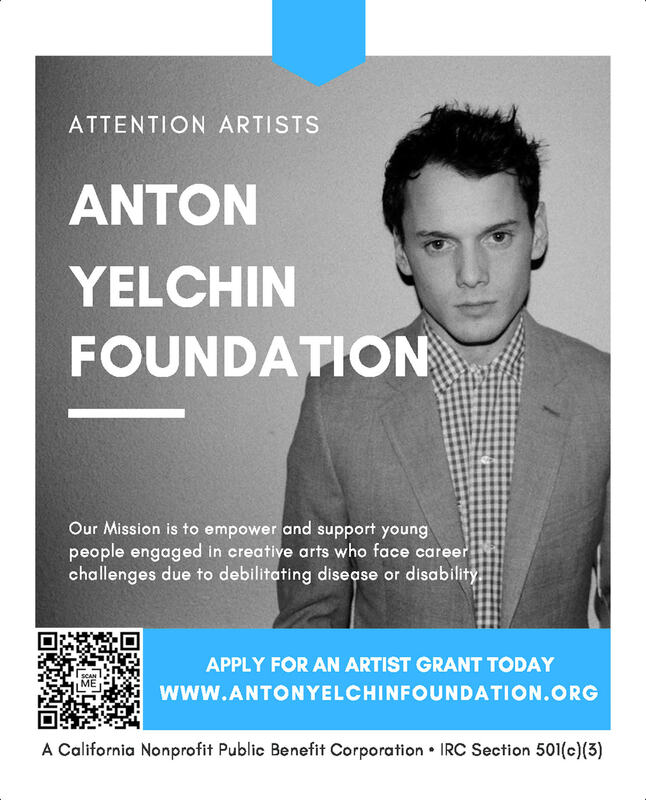 The organization that presents the Academy Awards is dedicating a performance of promising new screenplays to late actor Anton Yelchin. The Academy of Motion Picture Arts and Sciences said Tuesday that its annual Nicholl Fellowships live-read event will be presented in Yelchin’s honor. The “Star Trek” actor performed at the first Nicholl live read in 2013. He died in June when his Jeep rolled down his driveway and crushed him. His parents have sued the vehicle’s manufacturer. Yelchin’s “Star Trek” co-star John Cho, as well as actors Cary Elwes, Aja Naomi King and Alia Shawka are set to perform selected scenes from this year’s five winning screenplays on Nov. 3 at the film academy’s headquarters in Beverly Hills, California. The winning screenwriters were announced last month. The Nicholl Fellowships is the academy’s annual, global screenwriting competition. Winners receive $35,000 and academy support toward the completion of a feature-length screenplay during their fellowship year. Winning Nicholl scripts have also been produced and released theatrically, including 2006’s “Akeelah and the Bee” and “Stockholm, Pennsylvania,” which premiered at the Sundance Film Festival last year. David E. Kelley’s series adaptation of Mr. Mercedes is moving forward. Mr. Mercedes, based on Stephen King’s 2014 book of the same name, follows a demented killer who taunts a retired police detective with a series of lurid letters and emails, forcing the ex-cop to undertake a private, and potentially felonious, crusade to bring the killer to justice before he is able to strike again. Kelley will serve as showrunner on the series, which is being produced by Sonar Entertainment. Jack Bender (Lost) is set to direct. The duo will executive produce with Temple Hill Entertainment’s Marty Bowen and Wyck Godfrey. Mr. Mercedes is slated for a 2018 debut on DirecTV and AT&T U-verse. Anton’s co-star, Felicity Jones, from the 2011 film, Like Crazy, recently spoke with the Hollywood Reporter, wherein she opened up about Anton’s passing. Anton voiced the character of Dudley in the 9th episode of the first season of the animated series. New York, NY (October 9, 2016) – Crackle, Sony’s free streaming service, today announced that their Emmy-nominated original stop-motion comedy series, “SuperMansion,” will kick off the holiday season with an original half-hour special, “SuperMansion: War On Christmas” premiering Thursday, December 8th. The announcement was made today at New York Comic Con during a “SuperMansion” panel featuring creators Zeb Wells (“Robot Chicken”) and Matthew Senreich (“Robot Chicken”), and voiceover cast including Emmy(R) Award-winner Keegan-Michael Key (“Key & Peele”), Breckin Meyer (“Robot Chicken”), Heidi Gardner (The Groundlings) and Gary Anthony Williams (Teenage Mutant Ninja Turtles: Out of the Shadows). “SuperMansion: War On Christmas” focuses on a dysfunctional group of self-righteous superheroes, The League of Freedom, who can’t agree on anything, but must band together to save Christmas when an interstellar imp, Mr. Skibumpers (Jim Parsons), unleashes a real-life Santa Claus (Gary Anthony Williams) who experiences an existential crisis. Ultimately, the team comes to understand that their differences of opinion are what the holiday spirit is all about. Returning to the seasonal special are voiceover stars Bryan Cranston (“Breaking Bad”), Emmy(R) Award-winner Keegan-Michael Key (“Key & Peele“), Seth Green (“Family Guy“), Jillian Bell (22 Jump Street), Anton Yelchin (Star Trek), Dan Stevens (“Downton Abbey“), Heidi Gardner (The Groundlings), Tucker Gilmore (Frozen), and Zeb Wells (“Robot Chicken”). Joining the cast for the holiday special are Jim Parsons (“The Big Bang Theory“) and Gary Anthony Williams (Teenage Mutant Ninja Turtles: Out of the Shadows). “SuperMansion: War On Christmas” is created and produced by Matthew Senreich (“Robot Chicken”) and Zeb Wells who also serves as a writer. Seth Green, John Harvatine IV, Eric Towner, Tom Root, Bryan Cranston, James Degus and Moon Shot Entertainment join as executive producers with production by Stoopid Buddy Stoodios. Season two of “SuperMansion” will return in early 2017, as previously announced at the Crackle upfront in April. You can binge-watch all 13 episodes on season one for free on Crackle.